The Secret to Cultivating Sustainable Growth? Limit Your Upside. 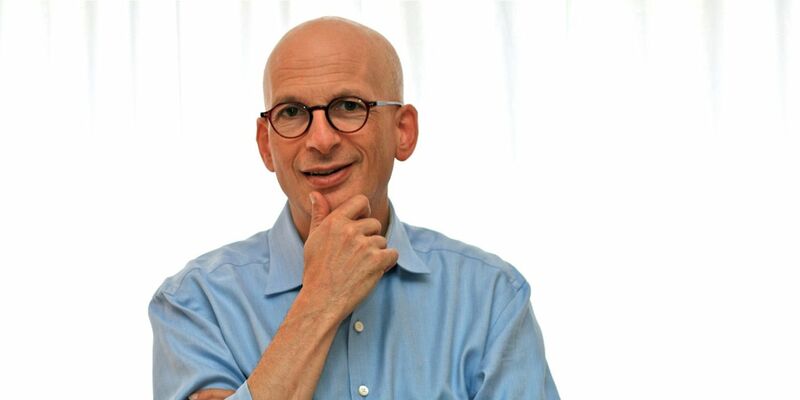 The unconventional life principle bestselling author Seth Godin uses to optimize for wellbeing. In 2016, Seth Godin published a new book. But instead of trying to sell as many books as possible, Godin took an unconventional approach. Most things in life have an infinite upside, where there’s always more you can do. You can always choose to exercise more, work more, travel more, or in Godin’s case, sell more books. But when there’s no upper limit to what you could do, how do you figure out when you’ve done enough? Without addressing the idea of “enough,” two pitfalls show up. 1. Dissatisfaction: You never feel like you’ve done enough. 2. Burnout: Because you push yourself too hard. But if you take the time to define what “enough” looks like, you can avoid both of these potential roadblocks. Defining “enough” breaks down into two parts, a Base Goal, and a Goal Ceiling. Defining a base goal gives you a target for “enough,” and a way to combat dissatisfaction. Feeling satisfied with your Base Goal requires that you consider the big picture of what you’re trying to do, have patience, and believe in the power of marginal gains. After all, the best way to make progress at something is to keep working at it consistently over time. Goal Ceilings address the “infinite upside” challenge. You could spend more time working out each week. But is that in line with your priorities? You could put in more hours in the office every day. But does that align with what’s most important to you in life? Maybe it does, and maybe it doesn’t. Defining “enough” means you won’t overextend yourself during the good times, which means you’ll be more likely to prosper during more challenging times. Limiting your upside is all about creating sustainable growth for the long-term picture. Many people have been putting this principle to work for years, across a range of topics. Business: As Jim Collins explains in his book Great by Choice, in the late 1990’s, Southwest Airlines had the opportunity to expand to dozens of new markets. But instead of proceeding full steam ahead to make more money, Southwest acted intentionally, only expanding to 4 new markets in 1996. In doing this, they optimized for sustainable growth, and optimized for what mattered most to them: creating a great customer experience and maintaining control of their corporate culture. Fitness: Athletes don’t spend every waking hour training. Every training schedule includes activity and recovery. Limiting the number of training days, or time training each day, helps prevent injury by ensuring proper recovery. With all that in mind, it’s worth asking: For what are you optimizing in life? I can’t answer that question for you. But if you’re like me and are optimizing for personal wellbeing, with a goal to live your best life, putting this principle into action can be a huge win. Here are a few steps you can use to approach limiting your upside in service of well-being. 1. Stay aware of the “unlimited ceilings” in your life that cause stress or dissatisfaction. This could be with work, fitness, nutrition, social activities, or any part of life. 2. Pick a Focus Area. Which area is causing you the greatest amount of stress? Start there. 4. Define a Goal Ceiling. What’s the maximum that you’re able to invest each time period to avoid burnout, and maintain balance with your other priorities in life? 5. Move forward sustainably, knowing that you’re doing enough, and not pushing yourself over the limit. Patrick is a coach, writer, and speaker committed to helping people live a better life by mastering their inner game. Want to start every week on the right foot? Subscribe to Mindful Monday Mornings at MindfulAmbition.net/Mindful-Monday-Mornings.